New Year is an exciting time for anyone, with a chance to look back on the past 12 months and enjoy looking ahead to the next. It could also be a time for resolutions, perhaps even ones that will be kept. Of course, most of all it is time for a big party, the last for a few weeks as life returns to normal, unless someone has a birthday or a Scottish friend arranges a Burns’ supper – and even that would not be until January 25th. While the singing of a traditional Scots dialect song – Auld Lang Syne – will be among the features of the evening, fireworks have increasingly become part of the tradition. This has long been the case in Europe, although for Britons, fireworks have historically been reserved for November 5th in the same way Americans focus them on July 4th. That has changed since the Millennium celebrations, when pyrotechnics were seen all over the world. 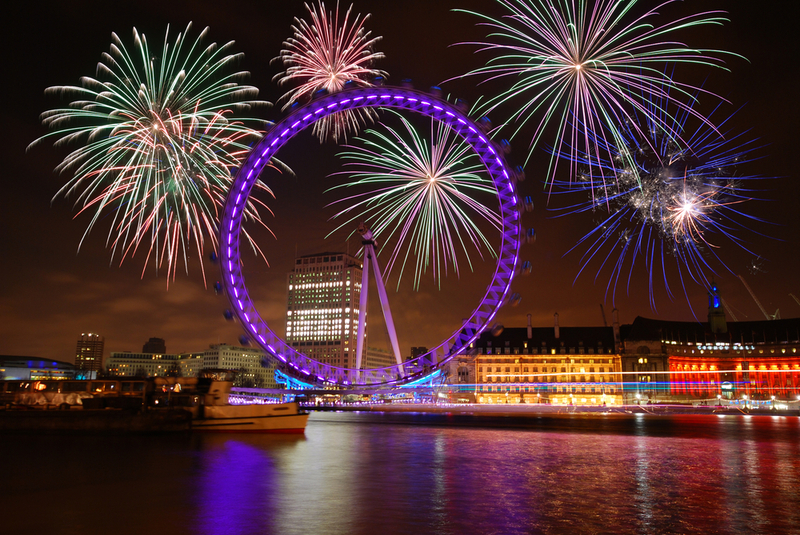 And it is, perhaps appropriately, around the Millennium Wheel that the prime spot exists to see the now established 21st century custom of having a spectacular display to celebrate the new year. Due to its popularity, the event is now ticketed and they were all sold in October, although there will be resales this month, so it is still possible to get in. There are four official viewing areas: on the north bank of the Thames there is the blue area on Victoria Embankment between Westminster and Embankment Underground stations, the red area on the embankment between Embankment and Temple stations. On the South Bank there is the green area behind the London Eye and the white area on Westminster Bridge. If you can get a ticket, pick your area well because it is hard to move between them. However, any of these spots will offer prime viewing of the spectacle as the fireworks light up the sky and reflect in the river below. Following the famous bongs of nearby Big Ben, this will be a superb way to welcome in the new year.